Saudi Arabia’s Minister of State for Foreign Affairs Adel al-Jubeir headed the Saudi delegation at the Meeting of Ministers of the Global Coalition in Washington DC on Wednesday. The coalition ministerial meeting brings together foreign ministers from coalition member states to discuss the work that needs to be done to ensure an enduring defeat of ISIS. 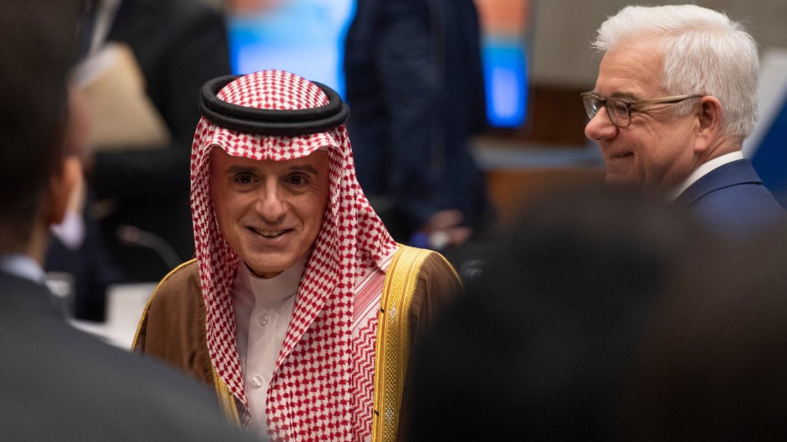 Al-Jubeir said that “Saudi Arabia is one of the first members of the Global Coalition and it remains committed to fighting terrorism,” during the meeting. “My country’s government will continue its fight against terrorism and its sponsoring countries, and pledges to support all international and regional efforts to eliminate terrorist organizations and the activities of destabilizing states in the region,” he added. The Global Coalition against ISIS was formed in September 2014 and has 79 members. It is committed to defeat ISIS on all fronts by dismantling its networks and countering its global ambitions. It also supports the stabilization and the restoration of previous ISIS-controlled areas. According to the coalition, it has taken back more than 99% of the territory once held by ISIS, but the threat that ISIS poses to the region and the globe remains. “We believe that our war against terrorism must include combating its funding and rhetoric that justifies violence and terrorism. We also emphasize the importance of continuing this coalition so that we can all ensure an effective and lasting defeat of ISIS terrorist organization, and all terrorist organizations, and not to reappear again in all parts of the world,” al-Jubeir said.